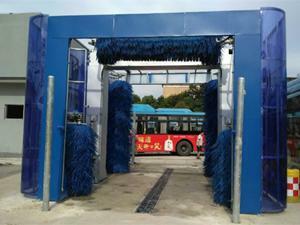 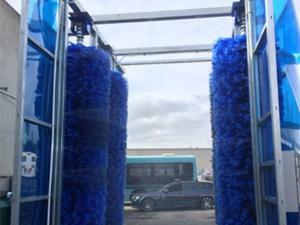 Bus wash equipment with 3 roll over brushes (CB-730) has two lateral brushes and one overhead brush. 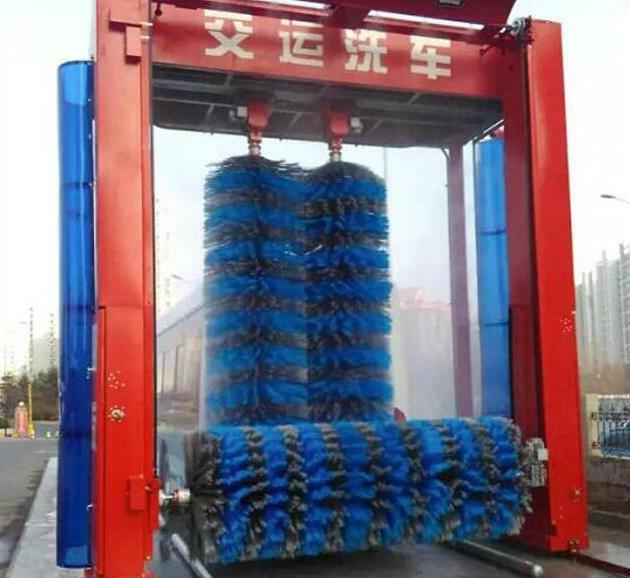 It is most often used for washing buses and trucks where the length does not exceed 18000mm, the height does not exceed 4200mm, and the width is 2700mm. 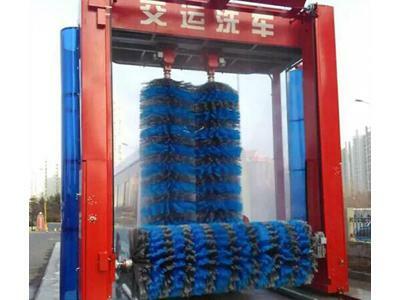 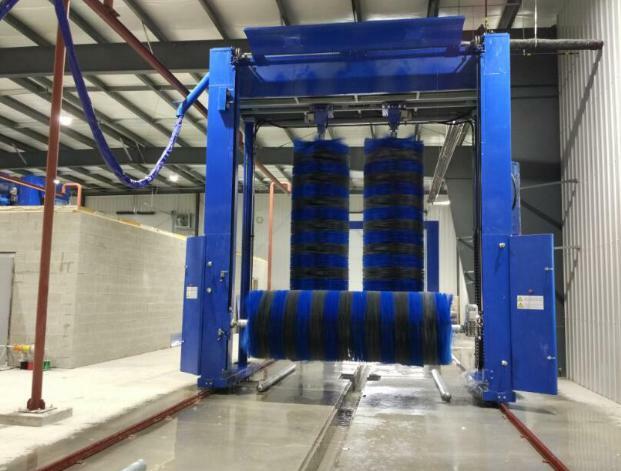 During the washing process, the bus remains motionless, and the bus wash machine will move the brushes around the vehicle. 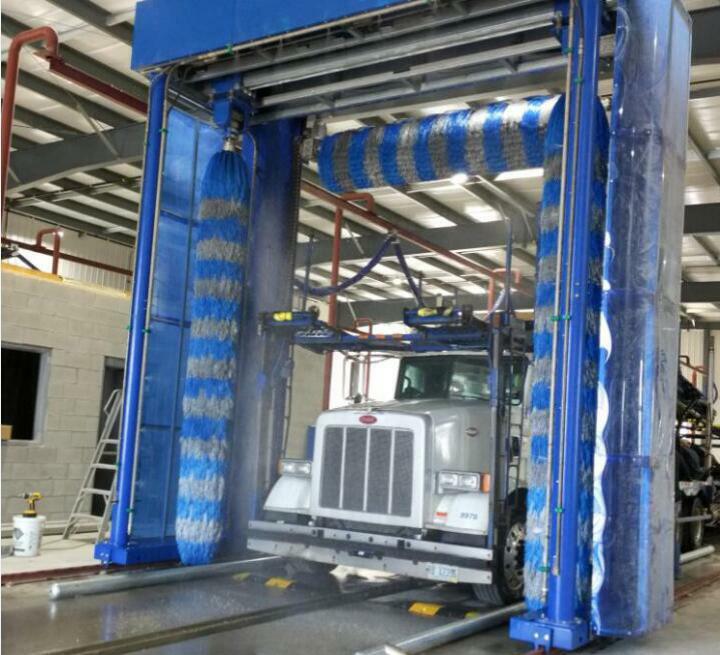 Shown below is some basic information. 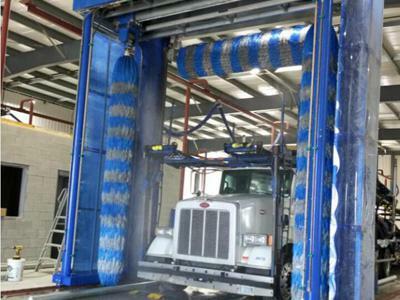 Rollover washing ensures a better cleaning performance. 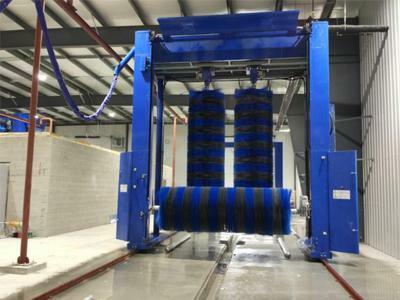 A fully automatic PLC electronic control system improves the security. The high-pressure water spray system increases the washing speed. 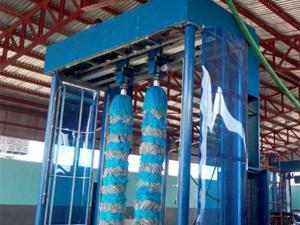 The galvanized frame is extremely corrosion resistant.